Barkeol is a city and commune in Mauritania. In 1999, 50% of Dracunculiasis cases in Mauritania were reported from Barkeol. Rhinopharyngitis mutilans, also known as gangosa, is a destructive ulcerative condition that usually originates about the soft palate and spreads into the hard palate, nasopharynx, and nose, resulting in mutilating cicatrices, and outward to the face, eroding intervening bone, cartilage, and soft tissues. It occurs in late stages of yaws, usually 5 to 10 years after first symptoms of infection. Propionimicrobium lymphophilum is a Gram-positive bacterium from the genus of Propionimicrobium which has been isolated from submaxillary tissue. Buttiauxella noackiae is a Gram-negative bacterium from the genus of Buttiauxella which has been isolated from a snail in Sydney in Australia. Buttiauxella noackiae is named after Katrin Noack. Facklamia languida is a Gram-positive bacteria from the family of Facklamia which has been isolated from humans. Facklamia sourekii is a Gram-positive and facultatively anaerobic bacteria from the family of Facklamia which has been isolated from humans. Lentzea albidocapillata is a Gram-positive bacterium from the genus of Lentzea which has been isolated from tissue specimen of a patient in Germany. Clostridium celatum is a Gram-positive and anaerobic bacterium from the genus of Clostridium which has been isolated from human faeces. Clostridium cocleatum is a Gram-positive and anaerobic bacterium from the genus of Clostridium which has been isolated from the caecal content of a mouse in Miyazaki in Japan. Johnsonella is a Gram-negative, non-spore-forming and non-motil bacterial genus from the family of Lachnospiraceae with one known species. Johnsonella ignava occur in the gingival crevice of humans. Collinsella intestinalis is a Gram-positive and anaerobic bacterium from the genus of Collinsella which has been isolated from human feces in Japan Collinsella intestinalis occur in the human intestine. Collinsella stercoris is a Gram-positive and anaerobic bacterium from the genus of Collinsella which has been isolated from human feces in Japan. Dakarella is a Gram-negative genus of bacteria from the family of Sutterellaceae with one known species. Dakarella massiliensis has been isolated from the female genital tract. 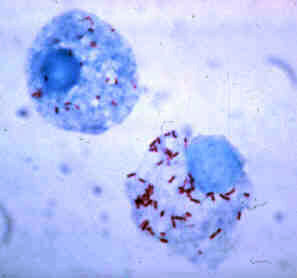 Sneathia sanguinegens is a Gram-positive and anaerobic bacterium from the genus of Sneathia which has been isolated from humans. ↑ Mahara F (1997). "Japanese spotted fever: report of 31 cases and review of the literature". Emerging Infect. Dis. 3 (2): 105–11. doi:10.3201/eid0302.970203. PMC 2627607   . PMID 9204291. ↑ Inc, GIDEON Informatics; Berger, Dr Stephen (2017). Infectious Diseases of Japan: 2017 edition. GIDEON Informatics Inc. p. 237. ISBN 9781498813846 . Retrieved 11 November 2017.